In this 22 minute video tutorial the talented artist J. Hill goes through sculpting Judge Dredd in ZBrush. Judge Dredd is a fictional character who appears in British comic books, as well as in a number of movie and video game adaptations. 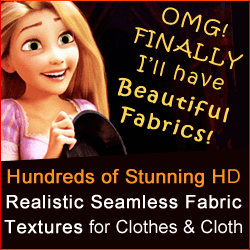 This is time-lapse tutorial for intermediates and experts in ZBrush. 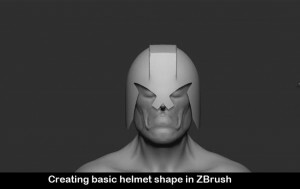 In this time-lapse video tutorial you will learn how to create Judge Dredd’s head in ZBrush from sphere. This video will walk you through the entire process of sculpting the likeness of Judge Dredd in ZBrush. In his tutorial, J. Hill will show you how to sculpt a head and how to create a helmet for it. 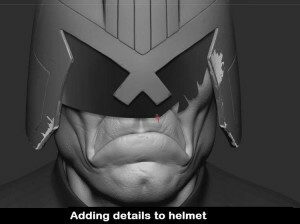 J. Hill sculpts the head of Judge Dredd and also shows some hard surface modeling techniques for helmet creation in ZBrush. 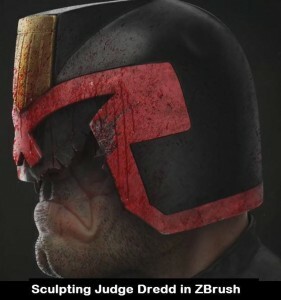 Additionally, he teaches you how to create broken glass for Judge Dredd’s helmet. 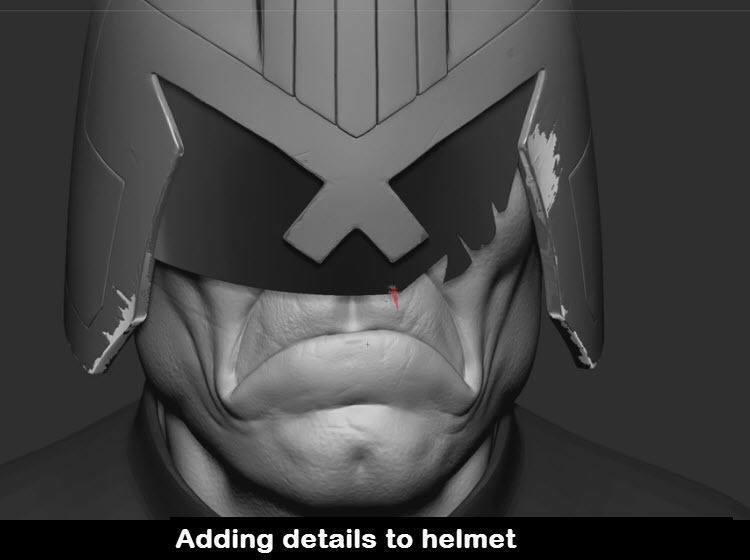 This speed-sculpting video of Judge Dredd likeness is great for anyone who wants to learn how to create fictional characters in ZBrush. 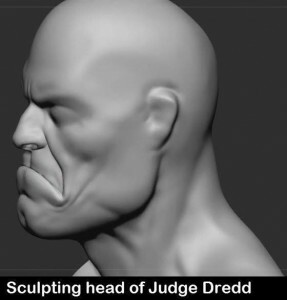 Did this Video on How to Sculpt the Head of Judge Dredd Help You? 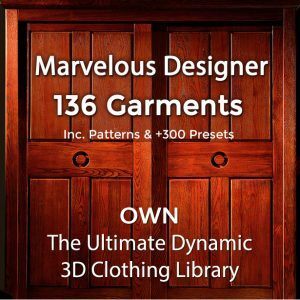 If you know of other useful videos or tutorials for character creation in ZBrush – please tell us!